The SR-009 have been impressing us for a while now. Now the Japanese powerhouse STAX Ltd. with their SR-009s have released an upgrade that can be very much heard! Just in time for the High End Fai in Munich where they will be presented. Seeing as we are pretty excited about it, we decided to put together some preliminary details on headphones in advance. 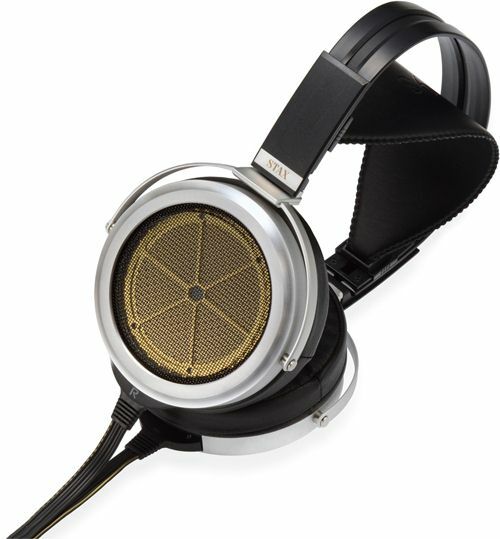 Electrostatic headphones have been manufactured by STAX since 1960. Anyone who has mastered a technique for so long now plays in the top league. With the new SR-009s, the Japanese prove once again. The predecessor model has been further developed and the main focus is now on the electrode, which has become much thinner. The big advantage is that the air resistance is reduced and the permeability of the sound waves improves at the same time. However, thin electrodes are less stiff and vibrate a little more. This was effectively counteracted by smoothing the edges of the electrode hole. Finally, the gold coating adds some weight, which reduces the vibration again and also reduces the resistance of the electrode itself. Of course, this brings a fantastic and above all clear sound to it. The electrostatic headphones bring a 2.5-meter cable and come including that to almost 600 grams of weight. The SR-009s is encased in a sturdy aluminium chassis that securely secures and enhances the sound. A protective grid completes the design and also ensures that the reflection has less influence on the sound. The ear cushion itself is inside, where it rests on the head, made of genuine leather and the surrounding part was made of high-quality artificial leather. We look forward to the SR-009s and warmly invite you to try them out in our headphones studio.